We will be running family workshops so come, have fun and get messy with Pamela Sullivan, our artist in residence. 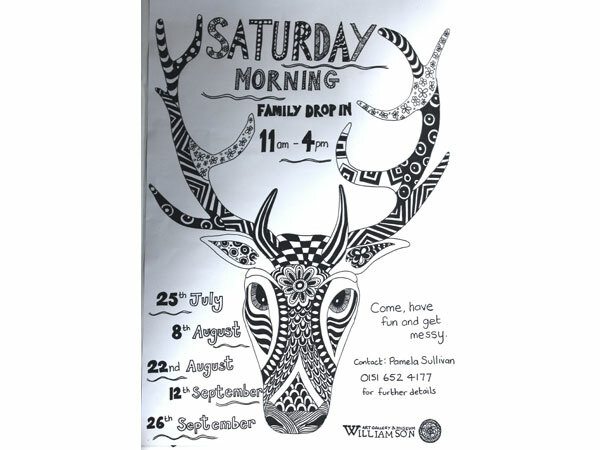 11.00 – 15.00 (16.00 if she has her team of young helpers with her) in the Art Room at the Williamson. The drop in workshops occur on the 2nd and 4th Saturday of the month.